For 45 years and counting, our Aurora office has become the destination for high-quality dental care for multiple generations of patients. 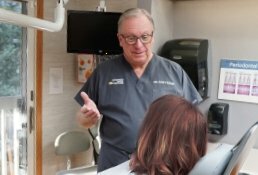 From family dentistry to oral conscious sedation, we focus on making patients comfortable and thoroughly exploring all procedure options. 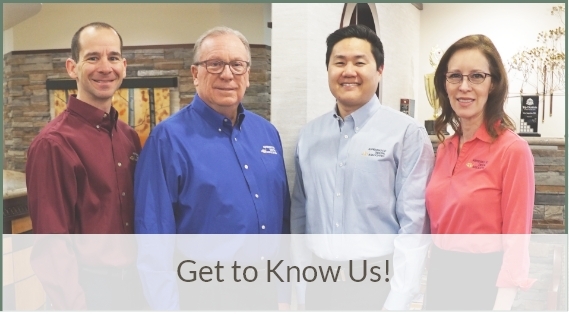 Our dentists and the entire staff want you to feel like you are treated well while getting the best treatment that our skills and experience can provide. Please call 303-751-3321 to schedule your free consultation. Every year 5280 magazine requests peer nominations for the best dentists in Colorado. We are proud to say that our dentists have earned top recognition 10 years running for their skills, experience, patient rapport and results! 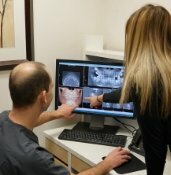 Founded in 1973 by Dr. Ron Yaros, Aspenwood Dental Associates and Colorado Dental Implant Center has a reputation for excellence. Dr. Lisa Augustine and Dr. Daniel Zeppelin have advanced training in all aspects of implant dentistry. Dr. Aaron Sun works closely with patients to help them maintain excellent oral health. We combine our training with advanced technology to deliver a state-of-the-art dental experience. From routine cleanings to complex treatments, our dentists and staff go above and beyond for patient satisfaction. We are proud to build long-term relationships with our patients; some have even grown up and bring their children! Coming here has absolutely changed my life for the better. I’m not afraid and I’m not apprehensive. Now I’m comfortable talking to people and have them looking at my teeth!